UPDATE @ 4 December, 7.20 AM | TWO men and a woman have now been charged after a body was found stuffed inside a wheelie bin at an apartment block in Brisbane. 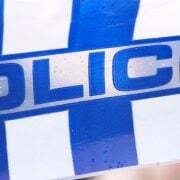 Queensland Police made the grim discovery after residents reported a foul smell coming from the Yeronga Road unit complex in Yeronga around 7.00pm on Saturday. According to authorities, the man’s body could have been in the bin for up to ten days. Following ongoing investigations into the grisly death, and a public appeal for information, a 30-year-old Yeronga man and 38-year-old Beaudesert man were yesterday charged with one count each of murder. Police said in a statement on Tuesday morning that a 23-year-old woman has now also been charged. She’s due to appear in the Brisbane Magistrates Court on one count of accessory after the fact and two counts of breaching bail. A 27-year-old woman was released without charge yesterday. Police say investigations into the incident are continuing. EARLIER @ 3 December, 11.45 AM | A MAN has been charged with murder after a body was found stuffed inside a wheelie bin at an apartment block in Brisbane. Queensland Police made the grim discovery around 7.00pm on Saturday, after residents reported a foul smell coming from the Yeronga Road unit complex in Yeronga. After a public appeal for information over the weekend, police yesterday tracked down four people who they believed could assist with their inquiries. 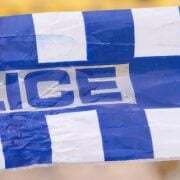 A 30-year-old Yeronga man was today charged with one count of murder. 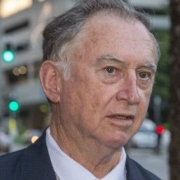 He’s due to appear in the Brisbane Magistrates Court this afternoon. 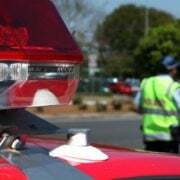 A 38-year-old man and a 23-year-old woman are continuing to assist police with their inquiries, while a 27-year-old woman has been released without charge.